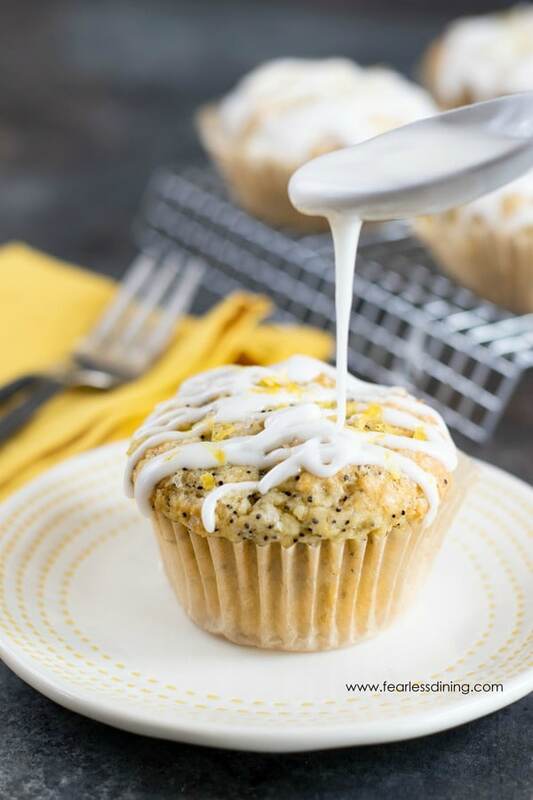 You are in for a treat today…we have a few lemons left in our lemon tree and I had just enough to make these moist gluten free lemon poppy seed muffins! These fluffy muffins are also dairy free! My kids were pretty excited because they love when I make lemonade icing to go with them. 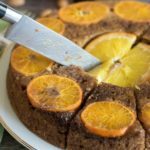 Never fear, if you want to keep the sugar low, feel free to skip the lemon icing! 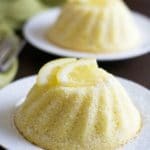 If you love lemons as much as we do, don’t miss the best gluten free lemon desserts recipes on the blog! We make a lot of muffins, and I share a lot of them here on Fearless Dining. All of my muffin recipes are freezable. Here are some of our favorite gluten free muffin recipes, or you can try this delicious new Paleo Strawberry Muffin recipe too! 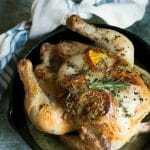 Are Poppy Seeds Safe to Eat? Poppy seeds definitely have a bad rap and many people worry about eating them. Unless you plan to eat several pounds of poppy seeds, the low amount of poppy seeds in baked goods and bagels will not affect you. You can health these muffins up even more by adding sliced almond to the top, or your favorite chopped nuts to the muffins as well. My kids are naturalists in their lemon preferences, so I didn’t add any nuts to these muffins pictures. Also, if you are like me and you like to make and freeze the extras, you can do that with this lemon poppy recipe. I recommend icing them when you defrost the muffins so that the icing doesn’t smear all over the freezer bag. 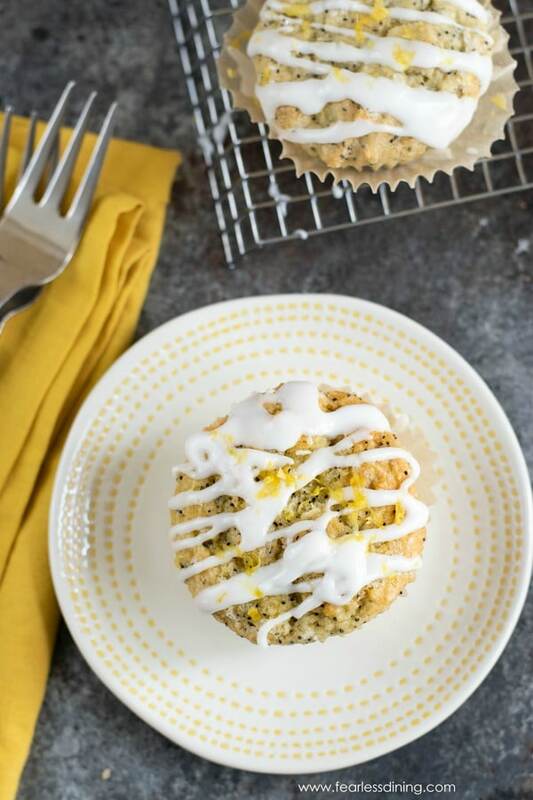 Are you ready to make these easy lemon poppy seed muffins? The first step is to combine all of the dry ingredients including the sorghum flour, brown rice flour, and arrowroot starch. 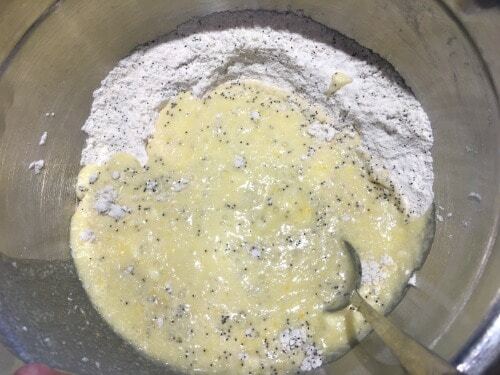 Add in Xanthan gum, baking powder and soda, salt, poppy seeds, and sugar. Whisk them all so that the ingredients are thoroughly blended. In a separate bowl, add the wet ingredients and whisk to blend. Pour the wet ingredients into the dry ingredients and mix gently. If you over mix the batter, your muffins will not be as light and fluffy! 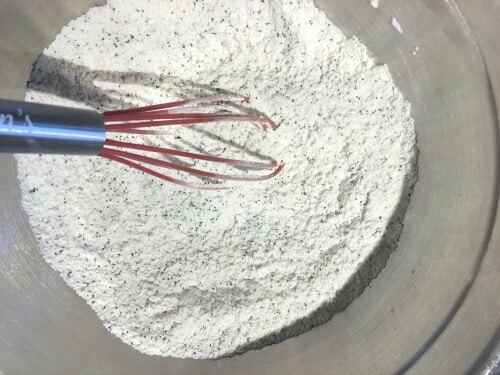 Mix the wet and dry ingredients until they are just barely mixed! Add the batter to parchment muffin papers and bake on 350F degrees for 20-22 minutes until done. Finely ground brown rice flour. Xanthan gum to hold it all together. 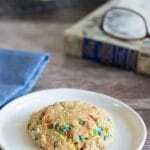 A light and fluffy gluten free lemon poppy seed muffin recipe. In a bowl, add the wet ingredients and mix well. Pour the wet ingredients into the dry ingredients and mix gently. Do not over mix or the muffins will not be as light and fluffy. Add the muffin batter to a muffin tray and bake for 20-22 minutes until done. Allow the muffins to cool on a cooling rack. Mix the lemon juice and powdered sugar to make the lemonade icing. Drizzle onto the muffins. Not sure if i did something wrong but my muffins came out oily and treated somewhat oily. Note, my coconut oil is semi solid but melts on touch. I did melt it to ensure it was only 2/3 cup. Aside from that, favour was good though. Any suggestions? Hi Pete, I am so glad you messaged me about this. We chatted via FB and discovered that 1/3 cup worked better. Thank you so much. Lemon is my favorite summer flavor! I’d love to start my day with one of these! I am trying to cut back on my sugar but I think I have to make an exception just this once because that icing looks too fabulous! 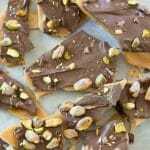 Hi Haley, you can use a lower glycemic sweetener like coconut sugar for this recipe, it will just make these a little brownish in color. I haven’t had lemon poppy seed muffins in a while!! 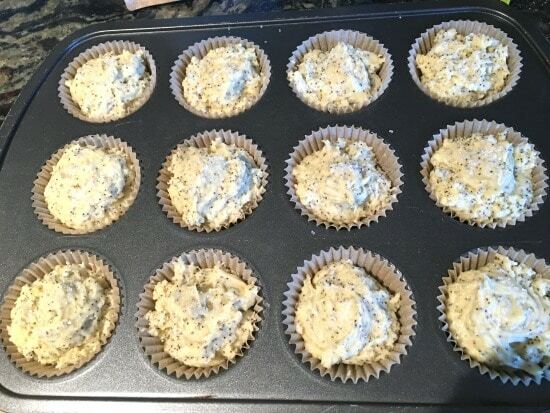 I’ve been making my muffins gluten-free for a while and I can’t wait to try your delicious muffins! Love the glaze and the flavors! 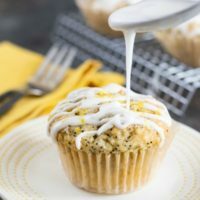 Lemon poppy seed is my favorite quick bread flavor, especially in the summer time! 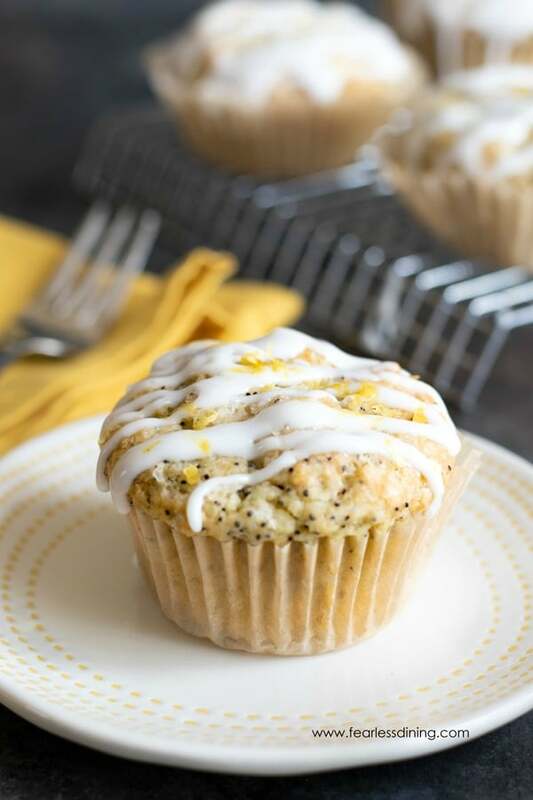 These muffins sound fabulous and I love the addition of poppy seeds with lemon. Nice to hear all the nutrition that add to the muffins as well. These muffins look so delicious! And I love lemon!